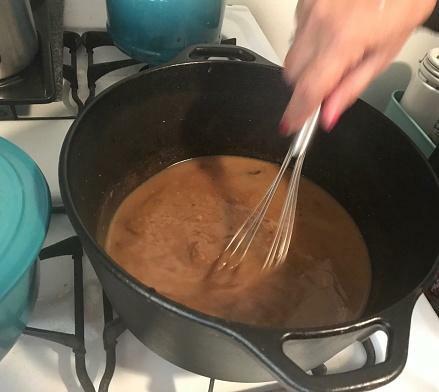 Gravy just makes food taste better - and it doesn't need to be made with animal products to be delicious. These vegan recipes for gravy will give you something tasty to pour onto your potatoes. 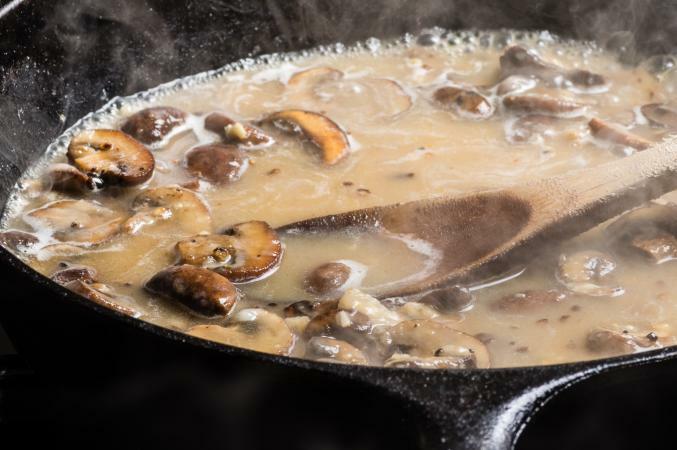 Mushrooms have a deep earthy flavor that lends itself well to gravy. The trick here is to soak dried porcini mushrooms in vegetable broth to flavor the broth deeply. The recipe yields 3 cups, or 8 servings of gravy. In a small saucepan, combine the dried porcini and the vegetable broth. Bring to a boil over medium-high heat. Turn off the heat, cover, and allow the mushrooms to steep for two hours. Strain the mushrooms from the broth reserving the broth. Finely chop the mushrooms. In a large skillet, heat the olive oil over medium-high heat until it simmers. Add the onion, cremini and chopped porcini mushrooms, thyme, salt and pepper. Cook, stirring occasionally until the mushrooms are deeply browned, five to seven minutes. Add the flour and cook, stirring, for two minutes. Whisk in the white wine. Bring to a simmer and add the reserved broth. Bring to a simmer and cook until it thickens, about three minutes more. Season with more salt and pepper, if desired. Want a gravy that is really tasty that you start making before you go to work and have ready when you come home? This makes a lot of gravy - about five cups, or 20 1/4 cup servings, but it freezes and reheats well. In a slow cooker, combine all ingredients. Cover and cook on low for eight hours or on high for four hours, until the vegetables are very soft. Working in batches, transfer the vegetables and broth to a blender or food processor. Process until smooth. Thin with additional broth, if needed. When working with hot liquids in a blender or food processor, it's important to allow steam to escape from the top of the appliance or you may wind up with hot broth and veggies all over you and your kitchen. To remain safe, leave an escape hatch for the steam (such as removing part of the food processor chute). Carefully fold a towel three or four times and place on top of the blender or food processor. Hold the lid in place with your hand on top of the towel as you blend or process. Country gravy is light in color, but it has a tasty flavor. Since it's typically made with milk, substituting a plain, unsweetened nondairy milk like rice milk, almond milk, or hemp milk, keeps it vegan. This yields 2 1/2 cups or about 10 servings. In a large, nonstick skillet, heat the oil on medium-high until it shimmers. Add the onion and cook until it is soft about five minutes. Add the flour and cook, stirring constantly, for two minutes. Whisk in the vegetable broth, milk, salt, pepper, and cayenne. Cook, whisking constantly, until the gravy thickens, about three minutes. 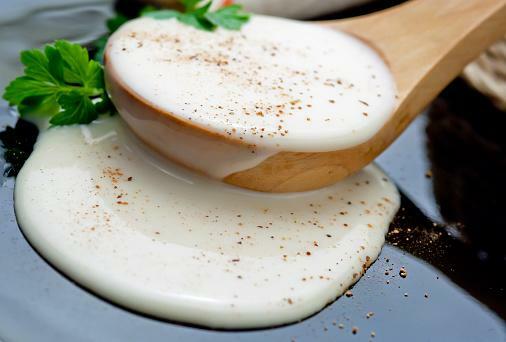 Gravy adds flavor and moisture to many foods, from mashed potatoes or vegetable purees to grilled mushrooms. Next time you want to add a pop of flavor to your food, try any of these tasty gravies.